WhoisGuard provides advanced domain privacy, and protection of personal information, now available lifetime free, forever in 2019. Read NameCheap domain registrar’s free WhoisGuard announcement. WhoisGuard has partnered with many domain registrars, including big names like NameCheap and so far, it has been a paid add-on to name registration. We’re excited to announce that we will be giving ALL our Namecheap customers FREE WhoisGuard for life, when they register an eligible domain with us. We believe strongly in privacy, security, freedom and equal treatment for all internet users. We respect our customers’ right to keep their personal information protected and we always take a stand for their privacy. What can WhoisGuard do for me? WhoisGuard replaces your name and contact information in the public Whois database. This protects your private information from being mined and used for other purposes, such as identity theft or unsolicited marketing. How do I get my FREE WhoisGuard? WhoisGuard will be added to the shopping cart automatically with each eligible domain registration or renewal, and it will be enabled by default. You won’t need to do anything extra in order to have privacy protection on your website. Can I get WhoisGuard with all domains? WhoisGuard is available for most domains that Namecheap offers. However, due to registry restrictions, WhoisGuard cannot be used with .asia, .ca, .cn, .uk, .co.uk, .de, .eu, .in, .id, .me.uk, .nu, .li, .ch, .fr, .sg, .com.sg, .org.uk, .us, .es, .com.es, .nom.es, .org.es, .com.au, .net.au, .paris, .vote, .voto, .xn--3ds443g, .nyc or .org.au domains. NameCheap has always provided great support and feature rich domain registration, on top of their cheap pricing. 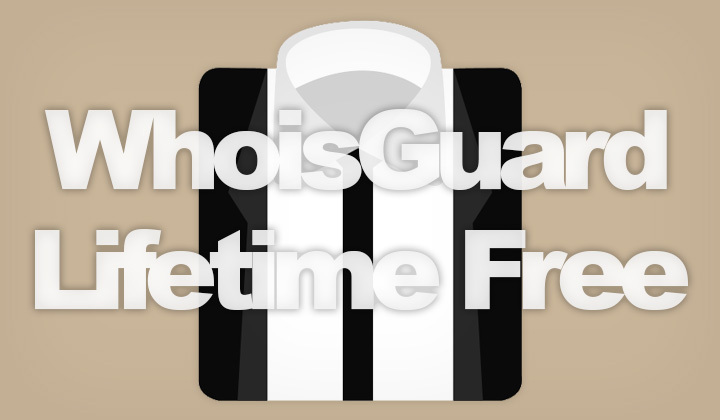 With the new WhoisGuard free forever offer, they bring competitive edge to the highly competitive registrar industry. And what’s great is that it includes all customers, new and old. So that those renewing their domains, or grabbing new ones can easily enjoy the benefits. Also all TLDs that can be privacy protected are supported, including the popular .com, .net, .org, .info, etc. domain names. So, let’s enjoy free WhoisGuard! Click here for the best domain discounts in April of 2019. Any questions about getting WhoisGuard free for life with NameCheap? Comments on domain names, TLDs, hosting, etc. this way please! Finally I’d like to educate my readers that partly the contents on my blog carry affiliate links within, this supports my blogging habit and promotes mutual benefit in a voluntary form. And please, share this on social media if you can! Tim.